A Beard Lichen, also known as Bryoria spp., at the Turnbull National Wildlife Refuge. One of the most ubiquitous lichen around our parts is the lovely Beard Lichen. It’s also known as Bryoria which is the name of the fungus that is in the lichen symbiosis. You’ll see the greenish black beards hanging from the branches and tree trunks all around Mt. Spokane, over by Fishtrap Lake and Hog Canyon, and of course, at the Turnbull National Wildlife Refuge. Bryoria as a genus is pretty easy to identify. There are only a few look alike in our area: Pseudephebe pubescens, which grows on the north side of rocks while our Bryoria usually grows on trees; and then there’s the tiny, tufted, and stiff Nodobryoria abbreviata, which contrasts strongly with the usually pendant, pliable, and hairlike Bryoria. 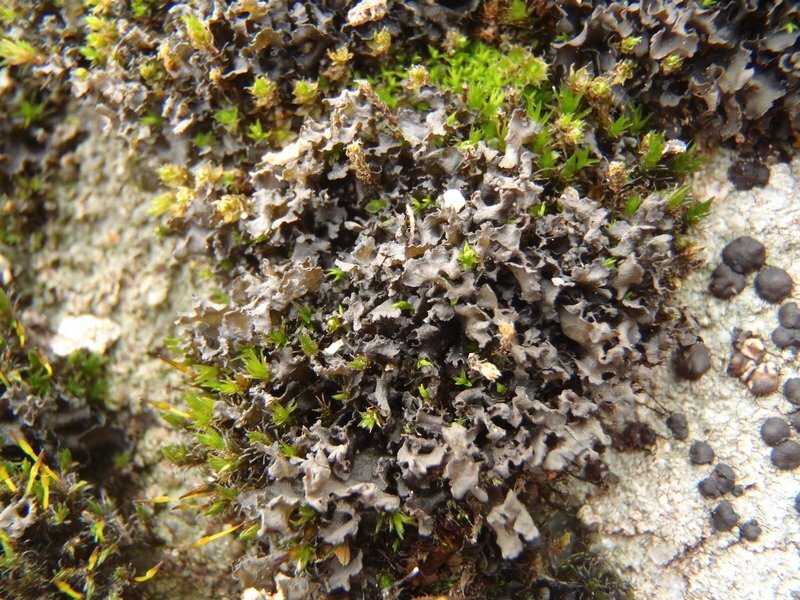 Up in the mountains you might run into Alectoria sarmentosa which is light green, while Bryoria are shades of brown and olive green, or Nodobryoria oregana which is a red beard like lichen. And that covers the look alikes around our region. Although distinguishing Bryoria from other look-a-likes takes less than a couple seconds usually without a hand lens, determining its identity at the species level is quite another ball game — oooh does it gets tricky! Why’s that? Well, first off, lots of chemical tests are needed to differentiate between species, and since the branches of Bryoria are so tiny (often less than 1mm thick) you have to be careful not to use too much chemical or you risk diluting the reaction which can result in a false negative (thank goodness for dear friends like Jason Hollinger at Mushroom Observer who pointed out this concern to me). So to counter that issue I’ve resorted to using dissecting probes to apply K and KC (both using a 400x light microscope to look for norstictic acid crystal), C, and PPD. Using dissecting probes to apply chemical tests to Bryoria is a deep practice in patience: those tiny sections of Bryoria firmly stick to the probe by hydrogen bonds and attempting to get them released sometimes causes them to fly to indeterminable locations. Secondly, finding the soredia for doing chemical tests can be difficult, basically because in some samples there are no soralia (the beds that contain soredia) to be found except just a couple empty soredia-less pits – which leaves one to guess about a) the color of the long-gone soredia, and b) whether the soredia could have tested positive or negative with the PPD test. But do remember, if you find empty soralia, be sure to jot down in your notes the shape of that there empty soralia, ideally with a drawing — it might be useful later on when you’re going through the keys. And yes, if you’re new to lichens, or mushrooms, you should be writing down all your observational notes before you go through a key to avoid any expectation bias. And thirdly, it can sometimes be difficult to differentiate between true pseudocyphellae and scars on the branches. Due to their pendant nature, Bryorias seem to crack and then heal alot, leaving scars that look like pseudocyphellae (or perhaps those really are pseudocyphellae?!). Oh, and fourthly, one must be very very careful to comb through a sample because different species are often tangled together like lovers from different tribes. 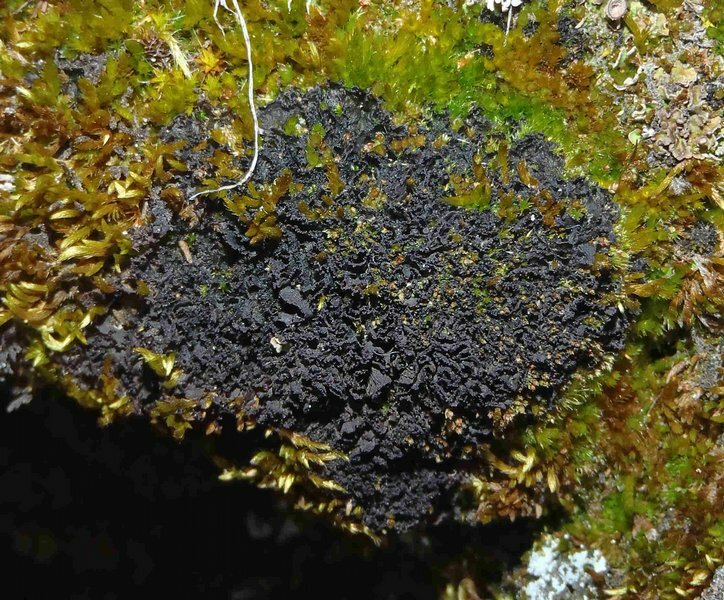 The current list for the Turnbull National Wildlife Refuge lists only one species of Bryoria: B. fremontii also known as “Wila”, or “Edible Horsehair”, a starchy and abundant lichen that has been eaten by Native folks in our region for thousands of years. Beyond adding species to lists, what got even more exciting is when I started growing through (yes, “growing through”, learning is a growing process) more samples of Bryoria from the refuge and found one sample that had yellow lecanorine apothecial discs, which is rare to find! And *and* in another sample I found yellow soredia, finally! yellow soredia on a Bryoria fremontii - the soralia on this species are small and unusual. Yes, simple things do excite me greatly – especially because those features helped to confirm that in both cases I’m dealing with B. fremontii despite the two samples seeming to have distinctly different morphologies. Earlier I was thinking that there was a “good chance” that both types were B. fremontii, but I just wasn’t sure — until I found those yellow soredia and apothecia, they brought my confidence level up to nearly 100% because B. fremontii is the only species in the genus with yellow soredia. This revelation helped me to see and feel with my fingers the major differences between what were two previously distinct species: B. tortuosa and B. fremontii – Edible Horsehair and Inedible Horsehair, respectively. Despite their major differences in color, texture, and size of main branches, they are now known to actually be the same species: Bryoria fremontii. If you non-lichen-nerds feel like you are spinning right now, and you’ve valiantly already made it this far into this blogpost, hold on cause it gets alot clearer (I hope!). Map of Edible and Inedible Horsehair and First Nations Peoples; Courtesy of Millifolium, Wikipedia. A few years ago a grad student out in Norway got a really neat idea: to test the genetics of Edible and Inedible Horsehair to see if they are the same species. And her results showed that indeed, they are the same fungal species and probably the same algal species too — except that this species has two different chemo-types: one has a high level of the toxic compound called vulpinic acid, whereas the other has a nearly absent level yeilding its use as a food for thousands of years. The presence of a high or nearly absent level of vulpinic acid results in two different morphotypes that are distinctly different by color, touch and taste. Lots of folks are probably saying, well yeah, sure, they’re two variants, but no, they are not — they are not known to intergrade, i.e. there aren’t hybrids between the two morphotypes. 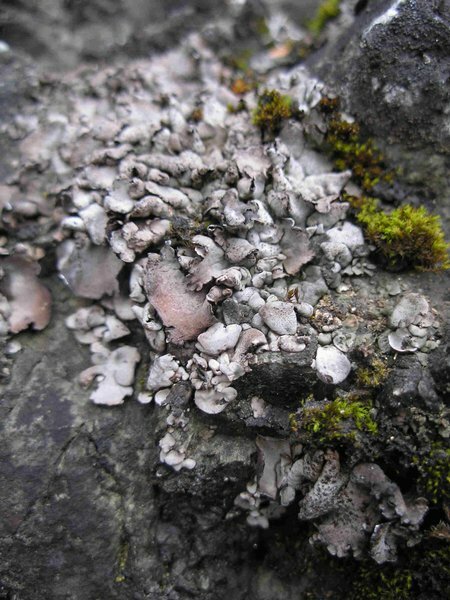 The lichens in question are two seemingly distinct species that have the same genetics. How can this be? How and why does such a phenomenon occur? Isn’t that just an awesome way of looking at lichen? Poetic, just beautiful. But, back to the topic at hand – the mystery of the Edible and Inedible Horsehair, and why they seem to act like distinctly different species. Goward presents the “Thallus Reassembly Hypothesis” to explain the mystery, and this hypothesis also presents a more concise way of understanding how variants and subspecies might occur. But to sum the hypothesis up in a few sentences would be doing the concept injustice, so I erased those feeble attempts, instead I’ll just point you to his essay directly. However, I will comment that it’s application can extend far beyond lichens, and even go so far as to help contemplate some recent groundbreaking genetic research. Just a couple weeks ago, ecologists from University of Illinois presented findings demonstrating that the tissue from the leaves and roots of a black cottonwood tree have entirely different genome sequences even though they are part of the same individual (the entire genome was sequenced from these different tissue sections). But, and here’s the clincher, the leaves from different clones of black cottonwood were shown to have nearly the same genome sequence. The pattern is kinda like lichens turned on their head, as well as touches upon how the different environmental conditions (underground vs. above ground) yield significant changes in genome sequences within the same individual – not just within the same species! Sounds like our Edible and Inedible Horsehair mystery, doesn’t it? But maybe I’m going too far, and I see all this because I am still a young student in the natural sciences and have so much yet to learn. Or maybe, just maybe, a metaphorical veil really is being lifted and biological paradigms shifted — and here we stand right in the middle of a most fascinating era of reveries. Either way, it’s all exciting, that is for sure! Fairy shrimp, an invertebrate that requires the changing conditions of vernal pools for their life cycle.. Photo courtesy of USGS. Every spring and summer, seemingly ephemeral ecosystems called Vernal Pools emerge in our region. Rings of wildflowers delineate their boundaries and can have up to six or seven distinct zones of different flowers creating a phenomenon akin to a living rainbow. During the moist spring, fairy shrimp and other enigmatic freshwater fauna swim through these seasonal waterbodies, depositing their eggs in the grayish silty clay soil. In the heat of our arid summers, these pools completely dry up but the eggs are so adapted to these seasonal desert pools that they can lie dormant for years — until the next rainstorm. A vernal pool is basically an entire ecosystem that is dependent on seasonal fluctuations – from winter precipitation which fills up the ponds, to the dry summers which pull up all the water into the atmosphere leaving large swaths of arid lands crusty and dry. And in these vernal pools we can find invertebrates and plants that are rare in our area, and, of course, lichens too. Vernal Pool at Turnbull National Wildlife Refuge. Photo courtesy of Douglas King and the Nature Conservancy. But where do we find these ecosystems? We are lucky, they are all over our region here in Eastern Washington. They range from the size of a puddle to a football field. The easiest way to find them is to keep an eye out for a certain set of plants, and to look within areas that have certain geologic features. A botanical study by Curtis Björk and Peter Dunwiddie published in 2004 gives some comprehensive information that can be used to identify the location of vernal pools in our region. Firstly, the vernal pools in Eastern Washington occur on basalt bedrock within the channels that were scoured by the Missoula Floods. Björk and Dunwiddle additionally state that they are often found near or amongst Mima Mounds, which are the bizarre and mysterious prairie mounds found at Turnbull National Wildlife Refuge, over near Hog Canyon, and in many prairie lands throughout the inland northwest. Secondly, and perhaps most importantly, we can distinguish a vernal pool from a seasonal wetland by three main criteria listed by Björk and Dunwiddle: 1) annuals are dominant and woody components like cattail and rush stems are minimal; 2) lack of surface salt deposits; 3) the presence of Plagiobothrys, Psilocarphus spp., and Navarretia leucocephala. So now that we know what to look for, what did Björk and Dunwiddle find in their study? That our vernal pools are quite special and deserve alot more public attention. The species richness in the pools here is greater than the pools in California, and we have a very high density of vernal pools. In some areas, like the Swanson Lakes Wildlife Management Area, there are more than 200 vernal pools per square mile! Björk and Dunwiddie also found that in the Spokane area the bryophytes associated with the vernal pools include Cratoneuron commutatum, C. filicinum, Riccia beyrichiana, R. cavernosa, Ricciocarpos natans, Fossombronia sp., and Sphaerocarpos texanus; these too create distinct zonation patterns. Dermatocarpon miniatum. Photo by Jason Hollinger, MushroomObserver. And lichens? Yes, our lichen friends are found in the vernal pools too! They are usually growing on the cobblestone basalt rocks found within the vernal pools, and these lichen include Dermatocarpon meiophyllizum, D. miniatum, Leptogium californicum, L. lichenoides, L. subaridum, and Aspicillia contorta. Now that we’re equipped with the tools to know when we’re standing in the middle of a vernal pool – let’s go find them. As we all know here out in Spokane, 2012 has been another long cool spring, so right now is still a perfect time for searching out these magical pools. Aspcillia contorta, a crustose lichen found in the vernal pool systems in E. Washington. Photo by Valter Jacinto, Encyclopedia of Life. Floristics and distribution of Vernal Pools on the Columbia Plateau of Eastern Washington by C. Björk and P. Dunwiddie. Rhodora Volume 106 Number 928 p. 327-347 (2004). Washington’s Vernal Pools The Nature Conservancy (May 2011). Conservation Assessment for Dermatocarpon meiophyllizum USFS, BLM (2007). Climate change and ephemeral pool ecosystems: Potholes and vernal pools as potential indicator systems by Tim B. Graham, USGS (1997). This past Saturday was the Turnbull National Wildlife Refuge’s first annual Spring Nature Festival – and it was pretty awesome! There was a glass box of mounted specimens of wild bees from the area, showcased by the West Plains Beekeepers, the Northeast Chapter of the Washington Native Plants Society was there, the Ice Age Floods Institute gave guided information tours on the natural history of the area, the Audubon Society brought folks on birding trips, and Mike Rule, the refuge’s wildlife biologist, brought me and a van load of folks on a management tour. Native Bees found at the Turnbull National Wildlife Refuge. Many of these bees are obligate feeders of particular native wildflowers - are any of these bees suffering from the decrease in native flowers due to increasing suburbanization of this region? Since I personally hate to be a bother and bop into Mike’s office or into his email box asking lots of questions, I took the tour as an opportunity to learn more about the different areas of the refuge that may be useful for future lichen studies. And boy did some interesting ideas sure pop up – from lichen presence in forested areas that have received burns and areas that are about to receive burns, to lichen distribution patterns in dense ponderosa pine forest versus more savanna like ponderosa pine communities. But first, lets get into a little bit of the history of the refuge, and then cover some of the restoration projects at the refuge. The Turnbull NWR sits in the eastern end of the Channeled Scablands – gosh I love that name, it makes this place sound really mysterious, which it is (check out the post about the Ice Age Floods talk by John Soennichsen). And the title is fitting when you consider who named it: homesteaders who were trying to eek out a way of living which was more conducive in the deep soils of the Kansas plains than the rocky terrain found out here. Our homesteaders saw the land as having been scraped up, leaving giant scabs, i.e. the columnar basalt. The town of Cheney, back in the early 1915 - notice the old electric train on 2nd avenue that used to take commuters the 25 mile trip to downtown Spokane. Rocky terrain does not bode well for plows, nor for putting fence posts in the ground, so its not surprising that this area was one of the last places in the state of Washington to be inhabited by the homesteaders. They came in droves on the newly built railroads back as late as the early 1900′s! And many homesteaders settled on the 16,000 acres that is now a national wildlife refuge. “This area used to be pretty densely inhabited” Mike Rule explained as he drove a group of visitors through a non-public area of the refuge. When the refuge was established in 1937 there were 35 families on the refuge, and it took about 10 years for the refuge to purchase land from those families and make the refuge almost the same size it is today. These original land purchases came at a time when many families were looking to get out of farming there — a major drought was occurring, and the Great Depression was still wreaking major economic havoc. The mark of an old homestead: lilac bushes. This one of over near where the squatter, Cyrus Turnbull, lived. Turnbll was one of the main providers of meat for the town of Cheney when it was first getting established. The legacy of the homesteaders still remains on the refuge – lilac bushes and apple orchard mark the areas where homes used to be. And the wetlands themselves still retain the legacy, but it is not as obvious to an untrained eye: about 70% of the wetlands were drained, and the bottom of the wetlands made into crop and pasture land. Although the refuge managers have been working to restore these wetlands, the farms around the refuge still have their wetlands drained, and this has impacts – both ecologically for the migratory birds, and for the quality and levels of water at the refuge. In 1937, at the urging of sportsmen, the refuge was established. The landscape had changed so dramatically due to the homesteaders, and migratory bird patterns and presence were so impacted that wildfowl hunters were called into action and they urged the federal government to grant money for land purchases. This is not an uncommon history, sportsmen are responsible for forming many of our national wildlife refuges, including the first national wildlife refuge at Pelican Island. You can see a list of sportsmen and sportswomen and how they’ve contributed to saving the places that our wildlife friends call home, here. And this loss of history is sad, because for the past month I keep looking at the mima mounds that seemingly are almost everywhere – from the BLM land surrounding Hog Canyon, to the east and west side of the refuge – and I keep wondering what those mounds were like before the homesteaders with their cattle grazing pushed the soil around. Perhaps the mounds were as distinct as the ones out near Olympia. But there’s evidence showing that the mounds were never as distinct, even before the settlers. Although some mounds were flattened for farming, the main impact on the mounds from grazing were the invasion of non-native plants. The mima mounds in the Puget Sound area suggest the possibility that aboriginal fire may have played a role in maintaining the mima mound prairie here, too, but this idea remains unsubstantiated beyond a few suggestions, such as the gradual disappearance of mima mounds into the forest. Today, you can see the forest slowly eating the mounds here, mounds trapped in the forest, as is happening in the Mima Mounds National Area Preserve near Olympia, Washington. But the Olympia Mima Mounds were preserved from the encroaching forest by periodic fires set by the indigenous Salish tribes. It seems to me that similar kind of actions may have kept the prairie mounds here in Eastern Washington free of forest — and that the cessation of those prairie fires may be the cause of the encroaching ponderosa pine forest. But Rex Daubenmire, a professor Washington State University, has said that there’s little chance there was aboriginal fires here, so for now the case remains closed. Its amazing how much we humans have changed our landscapes, but it’s also heartening to see that we can also restore the landscape to function somewhat similarly as it had in the past. And the managers at Turnbull are doing just that. The roots of an upturned ponderosa pine show how shallow the soil is here at the refuge due to the thick basalt bedrock. Because these roots don't have a tap root and are so close to the surface, hot fires can cause the death of old growth trees, more frequent light fires are needed to protect the older growth communities. The wetlands have been plugged, and the migratory bird populations have increased. In lower Turnbull Slough there are 29 heron nests and 12 cormorant nests. Although there are some issues of invasive species, including invasive plants like Cheat Grass and Reed Canary grass, and invasive fish including Pumpkin Seed and Brook Stickleback, the restoration of the wetlands continues to be a successful process. “We’ve got a good handle on the wetlands,” said Mike Rule as he drove through the ponderosa pine forest. He explained that the forest restoration has been more tricky, ”The forest though, we still have a lot of work left on it.” but forest restoration is also a more recent goal, as the paradigm of forestry has changed quite dramatically over the past few decades. These aspen would not be here if it wasn't for the fencing around them -- elk and beavers are stalling the restoration of aspen communities at the refuge. Mike Rule and many other foresters and ecologists conclude that the dense, single aged stands of ponderosa Pine that dominate the refuge are a legacy of the homesteader’s logging activities, not a natural composition pattern of the native forest. Rule believes that the forest in this area was more of a ponderosa pine savanna, with meadow grasses in between clumps of ponderosa pines. And periodic fires played a role in minimizing the amount of pine duff (thusly allowing for more soil crust lichen to fix nitrogen ), helping the aspen stands regenerate, and burning out the young pine saplings so that more forbs and grasses for wildlife could flourish. A more open canopy would also allow for increased snowmelt in the winter, allowing wildlife more access to undercanopy growth. As the refuge is reinstating the fire regimes, they have been keeping a close watch on the response of the forest creatures, including birds and rodents. Forest restoration monitoring began in 1999, and so far there’s evidence that the restoration process has been successful: there’s been an increase in chipping sparrows and western bluebirds, both are indicators of a healthy forest ecosystem in our bioregion. Naturally, lichens would be great indicators as well, as lichens are considered among the best bioindicators of ecosystem health. 1) N47.24-283 W117.34-616 : Left side of road in non-commercial thinning, right side of road commercial thinning in 2002, fire in 2009-2010. Logging used feller buncher, a three-wheel vehicle that cuts trees and puts them in basket reducing dragging and minimizing ground impact. Logging occurs when ground is frozen, or just slightly moist (which is smart because cryptogamic soil crusts have more cell damage when compacted if they dry than when they are slightly moist. A management burn in a ponderosa pine community, burn happened just over a week ago at the beginning of May. 2) N47.24-156 W117.34-974 : Left side of road will be burnt in fall – would be interesting to see succession of lichen species,diversity and abundance pre to post-fire. 3) N47.23-785 W117.36-307 : Forest here was burned just a bit over a week ago, would add to understanding of lichen succession post-fire. 4) Head west on Salnave road to the area where there was a fire storm in 1991: here there are aspen stands have been regenerating very successfully, while on the refuge aspen stands are struggling due to elk – which is unfortunate because aspen stands have some of the most diversity in terms of bird population associations. 5) N47.24-290 W117.36-436 :Wetland restoration, increase in microclimate humidity as shown by lichen succession or changes in diversity and abundance? Out at the Basaltic Mounds last Monday, I came across a lichen that got me pretty excited. It is the only macrolichen I have yet to find in the mima mounds areas, and after staring at micro-lichen so much recently (crustose), I was so happy to find it, especially as a huge patch. The patch was at least one meter square patch, an area composed primarily of bare soil and fist sized basaltic rocks, and located in the area between the basaltic mima mounds (inter-mound area). a) A big ole patch of Xanthoparmelia wyomingca in the intermound area in the Basaltic Mima Mounds at Turnbull National Wildlife Refuge. b) Check out how well the rhizines have gathered up the soil, giving this terricolous lichen some security on windy days. This foliose lichen was pretty well attached to the soil in certain parts, rhizines had dug into the soil, and they were not attached to rock. So I picked one up and brought it to the lab. After microscope work, chemical work, and using three different keys to ensure accuracy, I figured it out: Xanthoparmelia wyomingica. Although my collaborator Jessica Allen already added this species to the inventory list last year, identifying this species was really fun because it brought back a flood of memories. I remember helping her key it out while we were in Bruce McCune’s lab at Oregon State University, checking the identification with McCune’s extensive lichen specimen collection, and having McCune verify the ID. All very exciting. Jessica is the person who got me into lichen – before I met her I was all about fungi! But, back to Xanthoparmelia wyominca — how do you know if you find it? Well, they grow on the top of soil, sometimes they detach from the soil and wander around and you’ll find one of them caught in the base of a shrub – a vagrant lichen these are called, but they are not the typical vagrant lichen like Xanthoparmelia chlorochroa. Cross section of Xanthoparmelia wyomingca, look closely for the green algae photobiont layer. Typical vagrant lichen will roll their margins when they dry up, this allows the photobiont (algae) to be protected from the sun. When suitable moisture occurs the margins will unroll, allowing the photobiont to receive light and photosynthesize. But X. wyomingca doesn’t curl in its margins as extensively as X. chlorochroa. So look for that. Also check the underside for color: blackish. The lobes will be pretty skinny along their length, less than 2mm, though they’ll be wider at the end and at the point where the lobe branches at the base. And especially check for the presence of rhizines – these rhizines are black, numerous, and 0.5-1.0 cm long and they are unbranched for the most part, although some seem to fuse together at the base and appear forked. The lobes of X. wyomingica are less than 2mm wide, that measurement is critical for differentiating between different Xanthoparmelia species. Also check for the photobiont, in this case it is green. And always do your chemical tests! And last but not least – take pictures of the process, take notes, and then put them up on Mushroom Observer so you can get feedback and make sure that your identification is correct! Recent research published last year indicates that the genus Xanthoparmelia is polyphyletic, meaning they do not come from the same ancestor and subsequently should not be part of the same genus classification. Additionally, the genetic testing of 18 different species found 21 species clusters, however these clusters do not neatly overlap with the 18 species groups, which has provocative implications. The current species groupings are based on morphological traits and chemical composition, and assumes that species that have similar features should be grouped together phylogenetically (on the same tiny branch of the tree of life). The genetic data indicates that this assumption is false, that many of the traits were developed independently of each other (convergent evolution), and that there is a high level of variation of these traits within individuals of this species (S.D. Leavitt et al. 2011). “Species delimitation in taxonomically difficult lichen-forming fungi: an example from morphologically and chemically diverse Xanthoparmelia (Parmeliaceae) in North America.” By S.D. Leavitt, L.A. Johnson, T. Goward, and L.L. St. Clair in Molecular Phylogenetics and Evolution. September 2011. “A Key to Xanthoparmelia in North America, Extracted from the World Keys of Hale 1990″ by John W. Thomson in The Bryologist 1993. Basalt mima mounds, Turnbull National Wildlife Refuge; May 7, 2012. Last Monday I got a chance to go with an EWU grad student named Kristen out to an area where she is thinking about studying management of invasive grasses. The area that she is focusing on is another mima mound area at the refuge: the basaltic mima mounds. I couldn’t hold back from taking a trip out there with Kristen to look at the lichen in that area and learn from Kristen about the different grasses out there, particularly the invasive grasses. Kristen’s M.S. research is focusing on the affects of different management and disturbance practices on invasive grasses. Her study involves lichens in a way because the cryptogamic soil crusts (lichens, mosses, fungi, cyanobacteria, algae) have been shown to play a role in keeping out the invasive plants while nurturing the seeds and fulfilling the needs of the native plants. Kristen will be altering her plots with fire, with pesticides, foot traffic, and other practices and seeing how these increase or decrease the native grass vegetation. What lit up in my mind was the potential to see how these disturbances affect the composition of lichen, and if the lichen go through different stages of succession in response to different disturbances. That study would have to be a long term study but I could at least get a baseline assessment of the lichen distribution in those plots, and let someone else pick it up in a few years. So we took a quick trip out there with her to get a feel for what’s going on out there, and what we found was pretty incredible: a huge patch of Xanthoparmelia wyomingca! I did not notice any Diploschistes like I did over in the alluvial mounds, which seems to indicate a change in soil quality, and I did learn quite alot of grasses, the primary ones of which are invasive. I’m going to briefly go over these here because that will help us identify crusts that are hosting invasive versus non-invasive grasses. Kristen explains about the different invasive grass species that are taking over the praries at the refuge. A quick peek at the Turnbull NWR Comprehensive Conservation Plan (see grass species list at bottom of page) shows that more than half the listed grass species are exotic species. It is important to note that exotic species are not necessarily invasive, but many of these grasses are in fact invalsive. These invasives include Poa bulbosa, Ventenata dubia, and Bromus tectorum (the infamous Cheatgrass). Although none of the native grasses are listed as being endangered or threatened, it is very hard to predict what types of ecological affects may be happening due to the decrease in native plant abundance. The affects may be simple: certain insects may be favored by the changes in spring bloom time and quality, and this could impact the health of our regions forests and farms if these insects become pests. Or they may be complex, causing changes in migration patterns of certain birds and causing a ripple effect throughout North America from a seemingly minor causation factor. Or the effects could be very local, the grasses may be releasing toxins harmful to other plants and microbes (allelopathic chemicals), preventing the establishment of thick cryptogamic soil crusts, thus leading to major erosion issues that affect riparian ecosystems and cause the suspended silt in the water to rip up the tender gills of fish. This all sounds catastrophic, but the effects of loosing native organisms can have vast consequences on an entire ecosystem. I like to think of an ecosystem as a net that is holding up all the soil and water and living creatures in an area, and its obviously a super strong net because its carrying trillions of tons of biomass. Creating this net are a bunch of threads, and each species is one of those threads and they each have numerous roles to play. And when one of the species is unable to function properly due to a competing invasive organism, or by environmental stressors, that little thread in the net snaps, and the ecosystem becomes a tiny bit weaker. But no fail, the surrounding threads can often figure out how to plug that hole and keep the ecological net intact. However, if these threads snap all over the place, so fast that the other creatures are unable to respond and repair, then the shear weight of the biomass will start snapping more threads. Worst case scenario is that all the soil and water and living creatures will fall into an unorganized massive mess on the floor, the net in tatters, and the humans too. So, although invasive grasses seem pretty harmless, its important to make sure that our native grasses and their roles in our local ecosystems aren’t compromised. So, going back to lichen, there’ll be a post up soon going over the roles that lichen and cryptogamic soil crusts play in meadow steppe. Stay tuned! List of grasses that have been found within the Turnbull National Wildlife Refuge; notice that more than half of these grasses are exotic, a major management issue. Source: Turnbull NWR Comprehensive Conservation Plan 2007. There are few things in this world that can explain, in brief and simple terms, concepts that have broad implications. Lichens are one that I’ve found, and another is the Ice Age Floods that carved out the landscape of the Turnbull National Wildlife Refuge and much of Eastern Washington. Just as the lichen symbiosis can teach us that cooperation (not competition) is key for survival, the cataclysmic floods that created the awesome channeled scablands show us that our world can be drastically altered within just days due to relatively gradual changes in climate. (Note: Check out this blog in a couple weeks for my post about climate change in this region and how lichen can help us adapt). Palouse River, looking south from Palouse Falls. Photo by Joe Miles, 2012. Yes, the grand coulées, the prairie potholes, ripple marks, and giant fields of granite boulders of the inland northwest were created in a just a few short days, and only 18,000 years ago. A massive lake that was larger than Lake Erie and Lake Ontario combined had grown behind a huge ice dam that was half a mile high and over 23 miles long. And then one day the ice dam exploded. And a huge torrent of water ripped through the thick basalt bedrock that covered this once flat land. The topsoil was carried all the way out to the Willamette Valley in western Oregon. The water cut shears in the basalt creating cliffs that are in some cases more than 400 feet high and gouged deep shoreless waterways. This cataclysmic event formed what is considered the largest waterfall on earth – now called Dry Falls since no water flows through here anymore. The flood waters also created deep potholes, including Devils Well which extends all the way through the basalt. And the basalt here is deep, formed by fissures through which liquid basalt oozed over the landscape. Such deep potholes are not seen at the bottom of any large river known today. And the impacts of the flood cover an entire 2,000 square mile region: from the seemingly desert landscape of Eastern Washington that is oddly peppered with lush wetlands to the totally arid sagebrush steppe of central Washington. The National Geological Ice Age Floods Trail. Map courtesy of the Ice Age Floods Institute. This landscape is globally unique, but rather unknown and quite under-appreciated. But things are changing quickly these days. In 2009, the U.S. Congress gave authorization for the Ice Age Floods Trail, the first national geological trail, NOVA’s recently released documentary is bringing riveting cinematography of the area to international viewers (see embedded video below), and author John Soennichsen released last month his second book about the Ice Age Floods. In a talk Thursday night at Eastern Washington University, Soennichsen kicked off a major push by the Cheney chapter of the Ice Age Floods Institute to bring the floods and the awesome regional landscape further into the public dialogue. He is the author of Bretz’s Flood: The Remarkable Story of a Rebel Geologist and the World’s Greatest Flood (Sasquatch Books, 2008), five other books, and over 300 magazine articles. Last month his latest book went into print: Washington’s Channeled Scablands Guide (Mountaineers Books, 2012). Soennichsen is the leading expert on the history of J. Harlen Bretz. He recounted that in 1923, when Bretz introduced the idea of a cataclysmic flood carving out the scablands, he was shunned like a scientific heretic. Geologists at the time were under the firm conviction of uniformitarianism: that all the major landscape features around us – the mountains, river valleys, plains — were created by gradual processes that take millenia, not quick processes reminiscent of those told in the biblical Genesis. Dry Falls, 350ft tall remains of a waterfall with cliffs 3 miles wide. Photo courtesy of USGS. Although Bretz was not supposing that God had created the massive flood, he didn’t know the source of the massive load of water that tore up the landscape, and thus Bretz’s idea was further shunned. But, as the years went by, geologists continued to explore the area and increasing amounts of evidence built for Bretz’s hypothesis. The sheared cliffs and other features showed that ancient rivers such as the Columbia could have not cut such formations in a gradual manner, nor could they have made the massive potholes and ripple marks found isolated in the arid badlands. And glaciers did not extend into the scablands, so glacial forces were ruled out. And the evidence of an ancient giant lake incompassing the city of Missoula, and much of Western Montana gave the source of the giant flood. In the 1950′s, a geologist who was out in the field in E. Washington doing surveys for the Columbia Water Project, sent a telegram to Bretz that said “we are now all catastrophics.” After 40 years Bretz’s theory was finally gaining validation. And today the only controversy that remains is the question of how many floods actually occurred – for the evidence supports that there was not just one flood, but repeated flood events of large magnitude. Shoreline marks in the hills above Missoula, Montana. Photo courtesy of the USGS. The floods are estimated to have occurred around 18,000-20,000 years ago, during the end of the Pleistocene era as the Earth was warming, and glaciers melting. And this is where the lessons for us, in our age of climate change. Whether or not you agree that industrial civilization has caused climate change, the evidence that our Earth’s climate is changing rapidly is abundant. And the Ice Age Floods that created our landscape show us the drastic effects that global warming can have. Bitterroot Mountains and Lake Pend Oreille, where the ice dam broke. Photo courtesy of USGS. A lot of folks, my grandma included, tell me, “I’m not worried about climate change, I won’t be here to see the effects.” Most folks are certain that the changes will be gradual. Coastal shorelines will gradually move inland, and we humans will gradually adapt. But the landscape of the channeled scablands suggests a different scenario. Indeed, climate change is gradually happening just like the water that grew the cracks in the ice dam over near Clark Fork, Idaho. But as the gradual changes accumulate, a critical mass is slowly built, and in a near instant an entire area can be completely transformed into an alien place. Yes, it is a catastrophic scenario. And that’s what the geologists who dismissed Bretz for so long were reacting against, but the evidence is quite convincing that indeed it happened. Topographical map of the flood waters. Map courtesy of USGS. And we can prepare, there’s evidence for that too. There were humans who lived here when the floods surged through this land – yes indeed. In order to survive these folks must have examined what was happening to the ice dam, predicted the flow of water, and moved their homes, horticulture projects, and foraging areas to upland sites. And that is what we can do – examine the local evidence of climate change, predict what is going to happen, and take the necessary steps to make sure that we humans, our communities, economies, and our ecosystems will successfully adapt to the coming changes. That’s where lichens come in – they are one of the creatures with which we can see the metaphorical cracks in the ice dam. They are referred to as “canaries in the coal mine” because they can indicate changes in climate relatively rapidly, and they give us a measurement of how biological processes and our local biosphere are being affected by climate change. Lichens on the columnar basalt clifss at Palouse Falls. Photo by Joe Miles. Weather stations monitor air temperature, humidity, and precipitation at only a few sites, but lichens can help us translate that information into data that describes what is happening down on the ground, up in the trees, on the sides of both exposed and protected rocks, and this gives us a more accurate picture of what microclimates are actually changing, or not changing. Lichens are also at the bottom of the food chain, and so can represent other organisms that are as well: if the base of the food chain decreases in size so does the structure above it, and the ecosystem can collapse rapidly like the ice dam or it can slowly adapt. Lichens growing on trees in the Cheney wetlands. Photo by Jesse Taylor. It is essential that our local ecosystems do not collapse, for the ecosystem supports our farmland, our waterways for fishing, our aquifer for drinking water, our forests for fuel and lumber. By looking at the distribution of lichen species, and other bioindicators including mosses, we can begin to assess what changes are occurring before the ecosystem really feels the effects, For an ecosystem is a dynamic entity that is rather flexible in response to climate changes: but at a certain point the whole system can unravel. Kinda like when we are dancing the limbo, we can lean back farther and farther as the pole gets lower, and although some of us are more flexible than others, there is a point at which we all just collapse onto the ground. But, if we prepare for the limbo dance by increasing our flexibility, we have a better chance of making it under that pole. And its the same thing with preparing for the effects of climate change, if we can anticipate what may happen we can work towards increasing the resilience of our ecosystems and communities before the metaphorical ice dam breaks and there is nothing that can be done to prepare for it. And that is part of what this lichen project at Turnbull National Wildlife Refuge is about – finding out how we can use lichens to monitor our local climate changes so that we, as a community, can create adaptation management plans with enough time to successfully implement and modify them. Stay tuned, there’s so much to learn and respond to, and its all good: the coming years are not about horror, they’re about creative adaption and that is something our species is super good at. Me and Carla catching some air time at Palouse Falls. Photo by Joe Miles. Also, next week the local chapter of the Ice Age Floods will be sponsoring talks and a hike that will give us more of an understanding of the humans who were here during the time of the cataclysmic floods. Imagine watching the ice dam break from up in the Bitterroot mountains, relaxing while eating loaves of Bryoria lichen, roasted caribou meat… Wait, the food was totally different here at that time! What was growing out here back then? What did the people here eat… camels? Seriously, camels were out here? Let’s find out next week! Click here for more information on the schedule of events. Ice Age Floods Institute – An educational non-profit that is dedicated to telling the story of the massive floods in our region and establishing the National Ice Age Floods Geological Trail. This website serves as the primary information hub for the media, the public, and all the chapters in Idaho, Montana, Washington, and Oregon. USGS: Channelled Scablands – includes information about what the landscape was like prior to the floods (yes, there were camels here), and explains the formation of the basalt layer in our region. Huge Floods – concerns the Ice Age Floods caused by ancient Lake Bonneville. Explore the Scablands – PBS’s site with lots of information and multimedia presentations. Vulpicida canadensis: A funky neon yellow-green foliose lichen that grows in the forests of the Inland Northwest. So you’re walking through the forest and you come across an amazing florescent green leafy thing – by golly, you say to yourself, this must be one of them lichen that girl in class is always talking about! Exactly. But how do identify it to species so you can impress that her and get her to go on a date with you? Identify that lichen, figure out its species name. Species names always gets the girls. But how do you figure out what the species of a lichen is? Read on fellow, read on. Firstly, when you gather any lichen, be sure to note whether that lichen is growing on a rock, on a conifer or hardwood tree, or on a shrub. If it has fallen down from the canopy of a nearby tree it will be laying right dab in the center of your trail – those are my favorites. Here's the 10x loupe I use for identifying lichen. I find it easier to carry everything I possibly may need on one lanyard around my neck. Then, you’re going look at some of the macrofeatures of the lichen. If you got a 10x handlens, great, if not, you can still determine the major morphological group. A handlens is ideal for the steps in Part 2, a dissecting microscope for Part 3, and for Part 4 you’ll need a compound microscope with a 100x objective lens if possible, 40x at least. But if you haven’t gotten your 10x loupe yet, and don’t have access to microscopes yet, you can at least figure out which major morphological group a lichen is, and knowing this is the critical first step towards identifying any lichen. Parmelia sulcata. Is this Foliose or Fruticose? Hover your mouse over the photograph for the answer. Photo by James Lindsey. Does it have two sides, like a leaf? If yes, then it is a foliose lichen. Or is it more like the branch of a tree, lacking any really distinction between sides? If yes, then it is a fruticose lichen. Alectoria sarmentosa; is this foliose or fruticose? (Hover your mouse over it for the answer). Photo by Jason Hollinger. But what if it is so small that it just looks like paint? Then it’s a crustose lichen. And what about those ones that have fairy cup like things – what are those? Ah, now thats a tricky question – those lichen have two thalli: the primary thallus is the little tiny leaves that are close to the substrate (those are described as squamulose – a.k.a. tiny foliose) and then there is the secondary thallus which is the fairy cup (podetia) or matchstick (pseudopodetia) or christmas-wreath-like projection (also pseudopodetia). Cladonia pyxidata: Squamules make up the primary thallus, the secondary thallus is a podetia. Congratulations! You just figured out the most important distinction between different lichen: foliose, fruticose, crustose, or squamulose. What’s next? Read on to part 2. Lecanora rupicola, a crustose lichen. Photo by Jason Hollinger.